How are your children doing, and how are YOU doing? One way to find out is to start having family meetings regularly. Too much work, you say? Well, let’s list all the ways family meetings can help you and your family to feel connected, supported and encouraged during a busy school and work year. 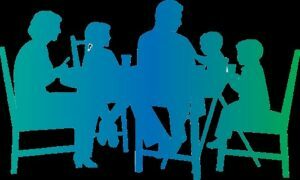 A weekly, bi-weekly, or even once monthly planned get-together time gives your family a chunk of that “quality time” that everyone talks about. It does not have to be more than 20-30 minutes long. Pick a comfortable spot, for instance, the kitchen or dining room table, and agree on a workable meeting time, perhaps after dinner or as a weekend activity. Mark it on the kitchen calendar and talk it up. Think up some brief fun activity to draw everyone in. Valuable skills in listening, speaking, negotiating, and decision-making are naturally a part of the family meeting experience. Decide on a short list of rules together, emphasizing mutual respect and taking turns to talk. Each member of the household can have a role such as agenda reader, timekeeper, secretary, modified for their age level, and the roles can be rotated as the children learn how to carry them out. The agenda can be short and to the point. 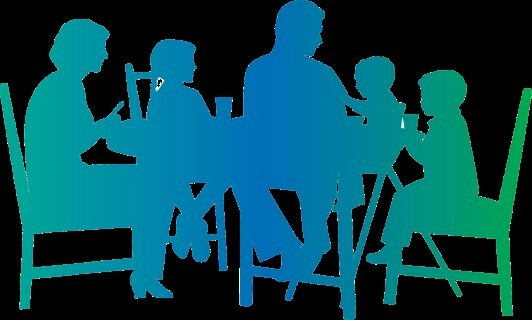 Go around the table and each person tell about a good thing of the week. Here the parents have the final say, although the children are able to voice ideas and hopefully all reach consensus. (This is not a forum for discipline; that should be done separately if needed.) The overall goal is to have all family members included and invested in the care and closeness of their special family. This can be something for fun, such as singing a song together, having a snack, or reading a riddle or joke. The family meeting lends itself to promoting values of mutual respect, belonging, acceptance, patience, creative problem solving, you name it! So, GO, TEAM, GO!